Sited along side a deep ravine, this 6,500sf residence takes full advantage of the spectacular views. The parallel expression of the design is reinforced by the deep overhangs, bands of windows and parallel brick coursing. 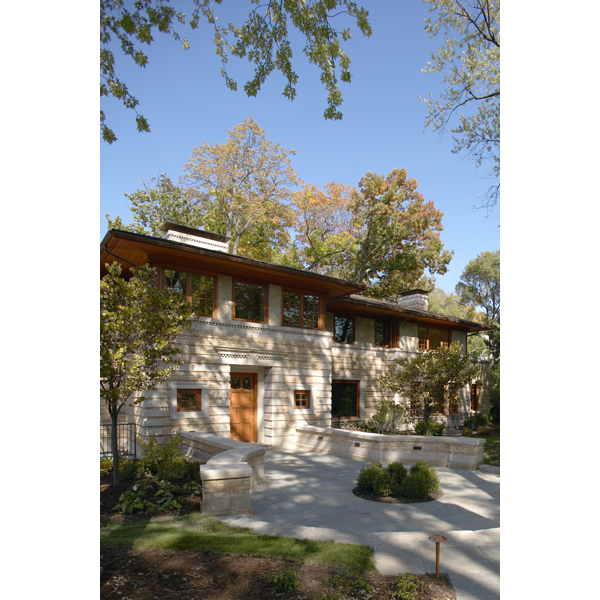 All the windows, doors and trim are natural Douglas fur, contrasting the Chicago common brick and Indiana limestone.